Established in 1893, Henderson Brothers is a well-respected leader in Pittsburgh’s insurance market. 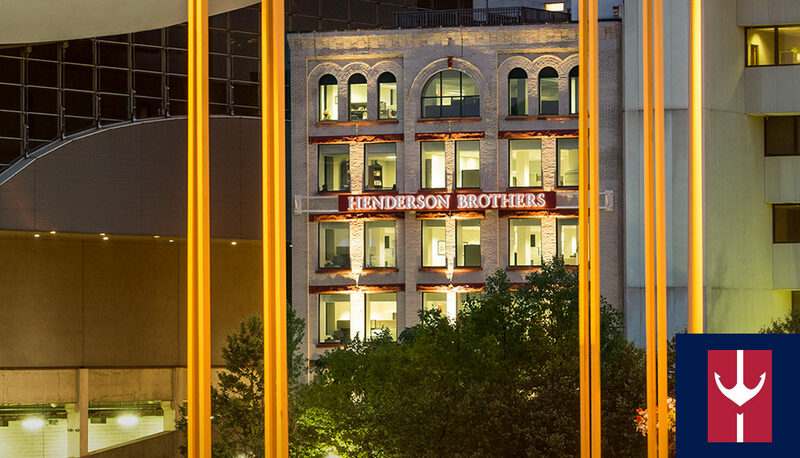 For more than 125 years, Henderson Brothers has treated clients like family. The firm has an almost altruistic concern for customers’ well-being. Kindness is a company value, just like integrity and accuracy — all qualities that Henderson Brothers’ clients have rightfully come to Expect. BD&E conducted interviews with key members of the Henderson Brothers’ team. Through our research, we discovered one thing to be true, the people of Henderson Brothers are true insurance experts. These experts pride themselves on being able to navigate insurance complexities for their clients. We developed the brandline “Expect an Expert” to express the absolute expertise in the array of insurance services Henderson Brothers provides. BD&E developed an integrated marketing campaign to increase community awareness of these Pittsburgh insurance experts. We designed print ads, radio, and broadcast, specifically targeted at Pittsburgh sports fans. This demographic is family oriented and competitive — just like Henderson Brothers. From a customer’s first viewing of a TV spot to researching information on the website to becoming a client and holding print materials, the brand is consistent. BD&E developed a new website that shifted the focus to the Experts of Henderson Brothers. With an intuitive new interface, the site allows clients to find pertinent information with ease. New features expedite the flow of secure information between site users and Henderson Brothers’ team of expert advisors.